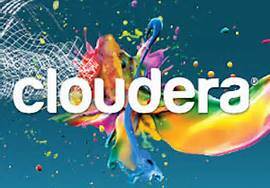 Intel announced an equity investment in Hadoop Cloud Service provider Cloudera. Details on the amount Intel paid for their stake in Cloudera were not disclosed; However, Intel noted that it is now the largest strategic shareholder of Cloudera. Intel also became a member of its board of directors. Cloudera recently raised $160 Million, giving it a nearly $1 Billion valuation. This partnership signals an end to Intel’s internal development of an enterprise analytic data management software and an opportunity for Intel to take a leadership position in the Big Data market. Cloudera will promote the Intel server architecture, processors and memory for their data center hardware. This should help maintain Intel’s 94% market-share in the Cloud Computing area, and make it more difficult for competitors to gain a foothold. By aligning the Cloudera and Intel roadmaps, we are creating the platform of choice for big data analytics. We expect to accelerate industry adoption of the Hadoop data platform and enable companies to mine their data for insights that inform the business. This collaboration spans our data center technology from compute to network, security and storage, and extends to our initiatives for the Internet of Things. The Cloudera purchase closely follows on Intel’s acquisition of Basis Science, maker of a health and fitness wrist watch monitor. Confirming what Ms. Bryant said, Intel is on a trajectory to remain a dominant player in all devices which need to process or store data. Integrating all the various hardware devices and services will be easier with Cloudera’s Big Data analytics.